My reviews for Love Is Strange and Lilting can be found here at The Lumière Reader. Best known as Ozu’s first talkie (sound film), The Only Son (1936) is a highly accomplished domestic drama that would set the bar for all his subsequent features. It tells the story of a hardworking single mother who sacrifices what little life she has left to give her only son a chance at a future. She sends him to study in Tokyo, the city of opportunities, as she is led to believe that’s the right thing to do, after a talk with her son’s schoolteacher. Then time passes. Thirteen years, to be exact. The mother goes to Tokyo to visit her son and discovers he has a wife and a baby. He is also, to her disappointment, working as a night school teacher. Not quite what she had imagined for her son’s future. Not quite what she thought she had given up so much for. If the plot sounds familiar it’s probably because it is. 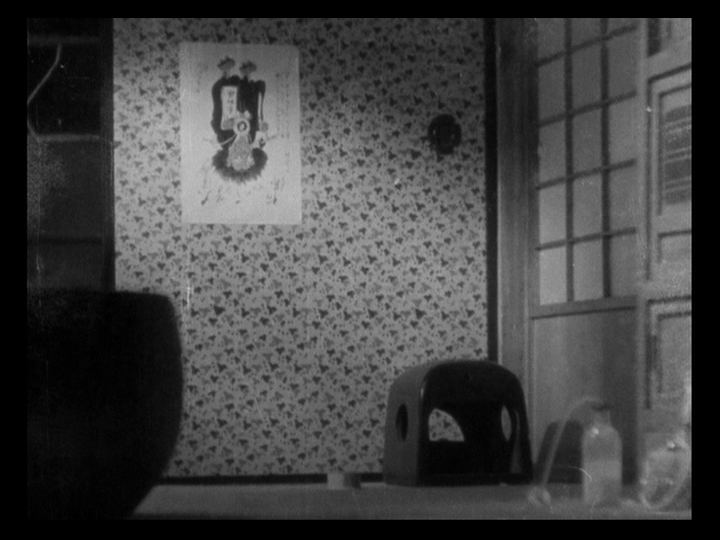 The central theme of shared disappointment between parent and child is a recurring motif in Ozu’s ouevre. 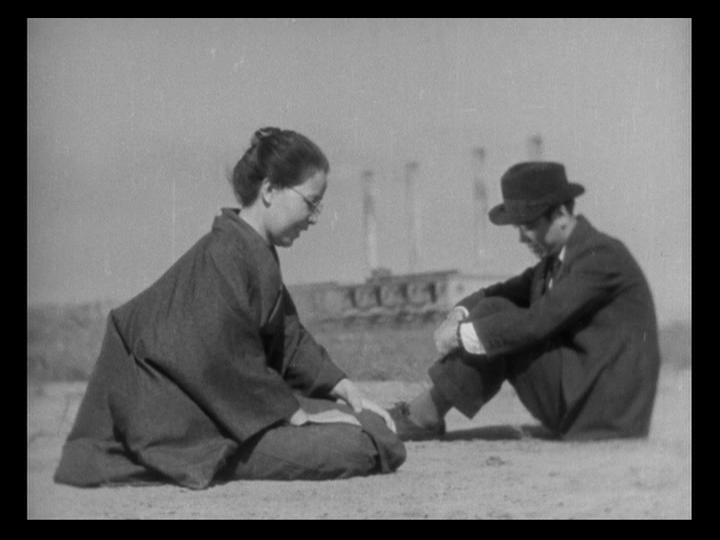 It seems to be a precursor to something like Tokyo Story. 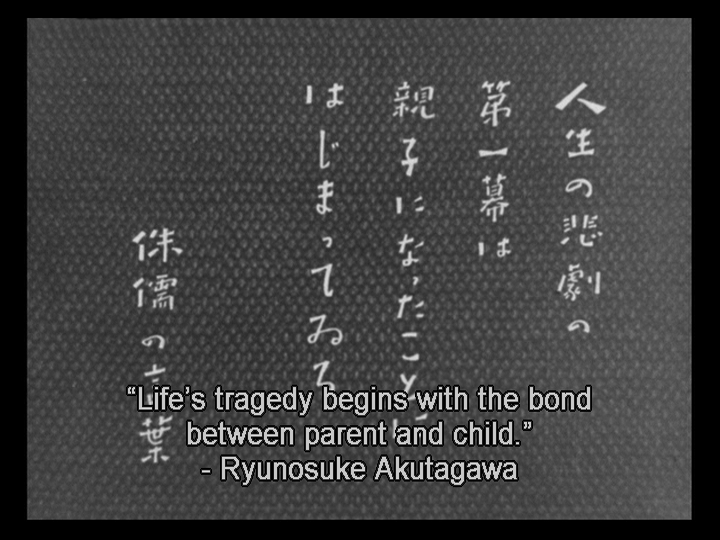 The theme is even highlighted at the beginning of the film with a quote by Japanese writer Ryunosuke Akutogawa: “Life’s tragedy begins with the bond between parent and child.” This may as well be Ozu’s mantra. What makes The Only Son standout is its narrative and structural elements you don’t normally find in Ozu’s films (at least not the ones I am familiar with). The first 15-minutes of the film are devoted to the life of the mother, dealing with her job as an employee at a silk-weaving factory, exploring her financial restraints, and showing her initial reluctance to give her son a proper education. And then, as previously mentioned, time passes. Such elliptical storytelling isn’t unique to Ozu’s films, as he often would omit essential plot details and jump ahead in time, but it was rare to see him jump so far ahead that actor’s have to be cast to play their older counterparts. The remaining 65-minutes of the film are fascinating in their introduction of storylines that seem to mirror the central one: the reappearance of the son’s school teacher, who also moved to Tokyo in search of greener pastures, now working in a seemingly dead restaurant; and a neighbour’s son who is injured trying to impress his friends into letting him play with their baseball glove, because his mother can’t afford to buy him one. The most gut-wrenching scene of the film occurs when the titular son wakes up to find his mother unable to go to bed. He understands why. She is concerned for his wellbeing and disappointed by his position in life. He too is disappointed by life’s meagre offerings, but doesn’t know what else to do. She insists he must overcome all the necessary obstacles – to try harder. To be a great man, like he promised as a child. He says he cannot. She says he must. After all, she has given up everything for him and is now stuck living in the very factory she works; her house was sold to fund her son’s future. And, suddenly and unexpectedly, we hear crying. The only son’s wife has been listening to the conversation – awaken by their distress. She, like the audience, understands how filled with disappointment their lives are. This scene is impeccably constructed. 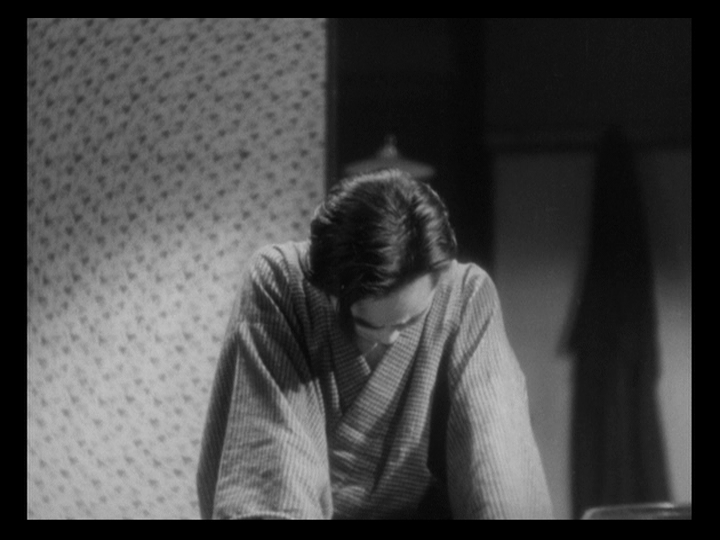 Ozu presents a domino effect of disappointment. Each character in the house is presented in a series of consecutive shots, each one visibly upset, except the final character, the sleeping baby. 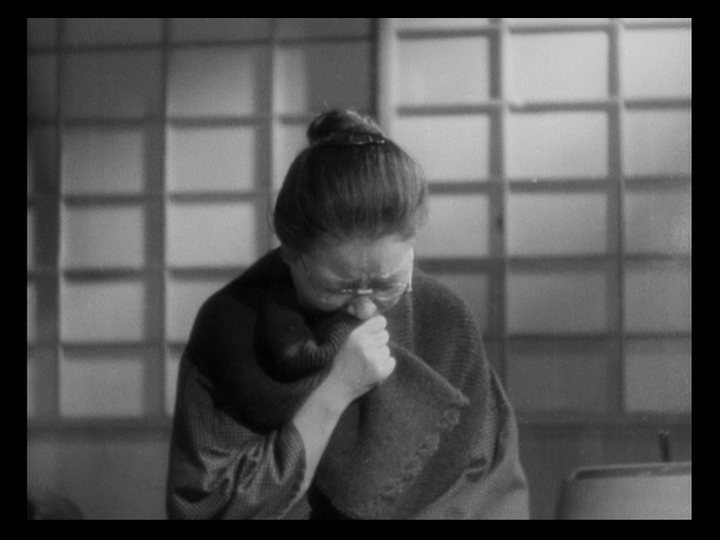 Ozu then bookends this moment of great tragedy in his usual way, with a pillow shot (narratively-unrelated shot of scenery). Perhaps he does this to let us digest the profound sadness we have only just witnessed. This pillow shot – of and empty room in the house – lasts for approximately a whole minute. We are forced take this moment in, to contemplate it, whether we want to or not. 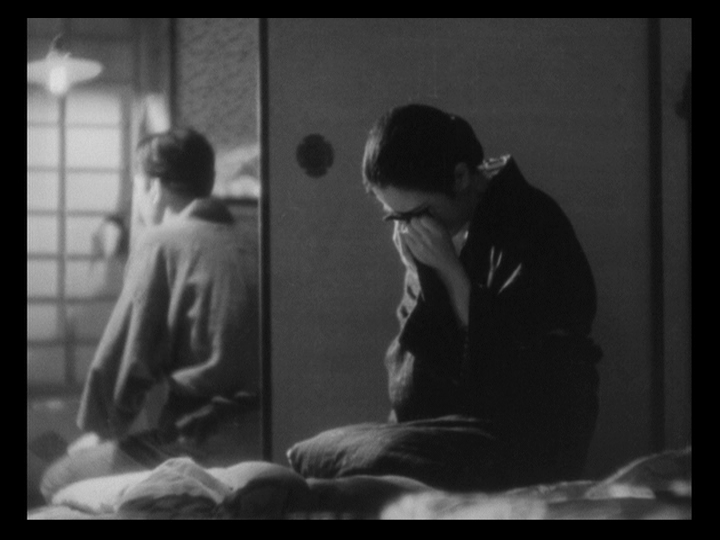 In Ozu’s world, people are faced with disappointments throughout their day-to-day lives, the weight of responsibility and expectation. He wants to show us the world in all its relatable imperfection. The least we can do is accept and acknowledge the existence of these truths rather than blithely ignoring them. After all, he must have gone through great pains to show us these things. No art this honest is made without some sort of suffering.